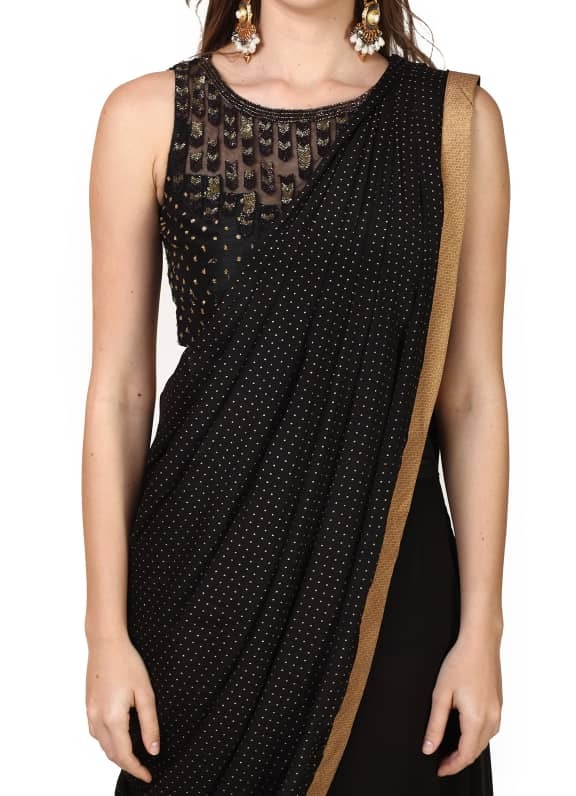 Featuring a black drape sari in crepe and georgette base with sequins hand embroidery. It is paired with a matching raw silk blouse. Stylish and fuss-free is our perfect combination! Wear this embellished drape sari with a pair of Outhouse earrings and Amethyst bag to complete your look.